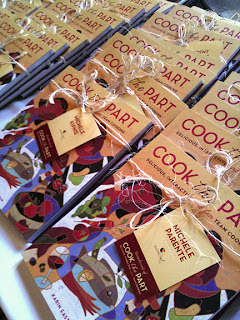 I went to San Diego to celebrate at the Launch Party for “Cook the Part” this past weekend. Author Karin Eastham and her husband Gary, put on a fabulous party including delicious food made from recipes right out of their cookbook. 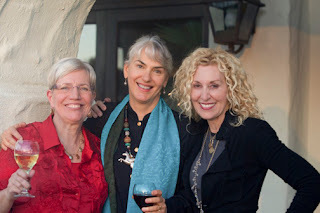 It was so nice to see photographer Cari Lightfoot Pike again and other new friends. It was a festive event in a beautiful setting filled with great food, and great people having a great time. You can see more party photos here and read a nice article written about the event. A successful conclusion to a wonderful project is just the beginning — you can purchase the book here (and please tell them Traci sent you). Cheers! 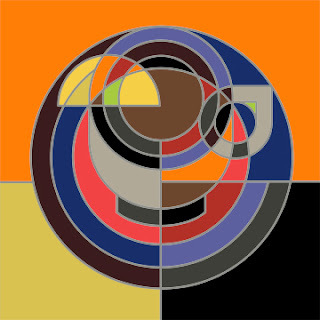 Recently I was researching some images of Frank Stella’s paintings to show my students in the Fundamentals of Design class I am teaching this quarter. His work is inspiring to me and I thought I would pay him homage as part of my geometric tea cup series. His work is large and measures by the foot, my image above is small and measured in inches. We both love color. I am off to celebrate in San Diego this weekend at the Launch Party for the cookbook “Cook the Part.” It is the cookbook that I designed and illustrated these past months for author Karin Eastham. 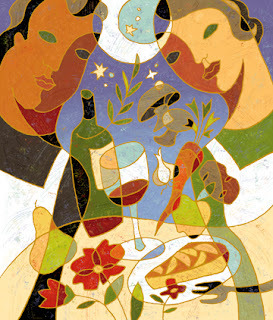 Above is the illustration for the chapter called “Comfort Food.” I’ll post party photos when I return next week!